Protect your investment with a custom heavy duty Hydrotuff grill cover. This space age material is the same as used to make bullet proof vests. 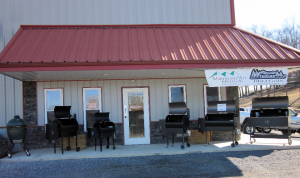 Form-fitted to match your Traeger Grill. 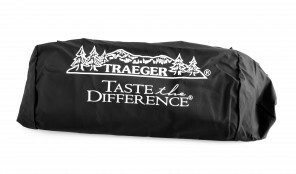 Black with white Traeger logo imprint. 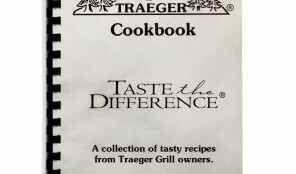 This cookbook features all the latest and greatest Traeger recipes and cooking tips. This book is your passport to great eating. Packed full of secret recipes and helpful grilling advice. Our best ever! 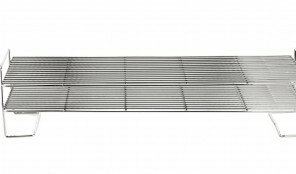 Chrome rib rack measures 17 ½” L x 3 ½” H x 12” D and holds 8 full racks of ribs. Fits perfectly inside all of our models. Time for a Rib Feast! 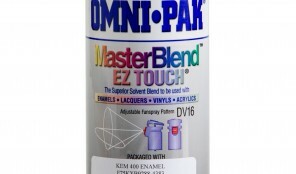 Black Touch up Paint. 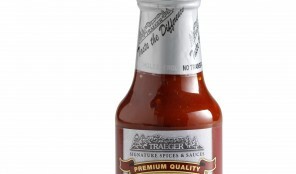 Exact match to keep your Traeger Grill looking sharp. Adds 230 inches of smoking surface to your grill. 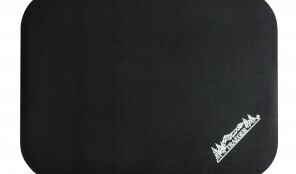 One piece nickel plated steel. Adds 360 square inches of smoking surface to your grill. One piece nickel plated steel. The perfect compliment for every outdoor chef. 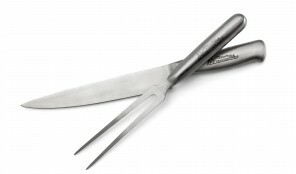 This beautiful, contemporary styled set is made from long-lasting stainless steel for years of use. 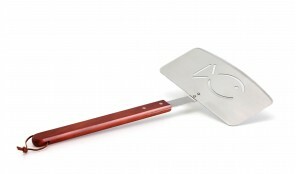 This BIG BOY is perfect for moving burgers, whole fish, etc. Stainless steel with rosewood handle. 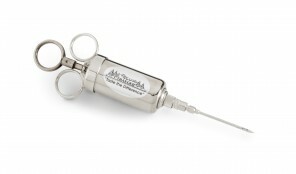 Professional quality stainless steel meat injector. Perfect for getting those spices deep inside your big meat cuts. 3 inch injector needle. Use over and over. Washes easily. 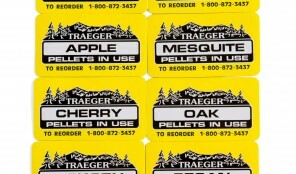 Use these magnets to remind you which variety of pellets you’re cooking with. One magnet for each type of barbecue pellet we make. Slap it on your pellet hopper and you’re good to go! 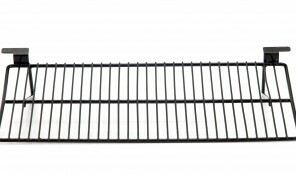 Redesigned one piece unit made from the same porcelain coated steel as our cooking grids. For Texas Grill (BBQ075). 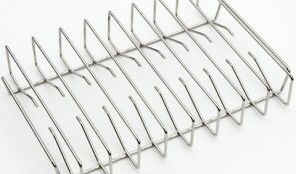 Redesigned one piece unit made from the same porcelain coated steel as our cooking grids. For Lil’ Tex and Lil’ Tex Elite grills. 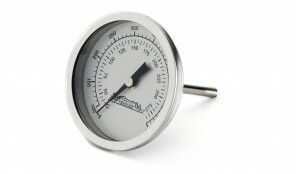 Dome Thermometer – bigger, easier to read and easier to install. 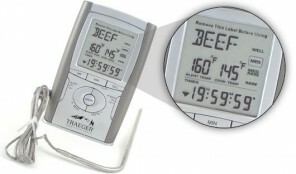 Provides both fahrenheit and celsius temperature scales.